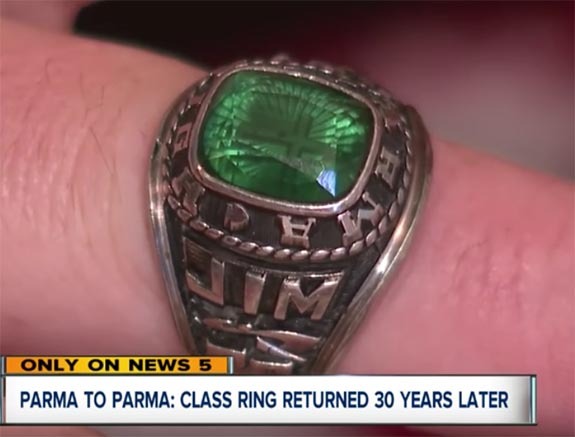 Risner had found Biehl’s class ring 30 years ago, but was never able to locate the rightful owner. She searched on and off for decades, but always seemed to run into a road block. Days later, a news crew from Cleveland’s ABC affiliate was on hand when Biehl opened the package. 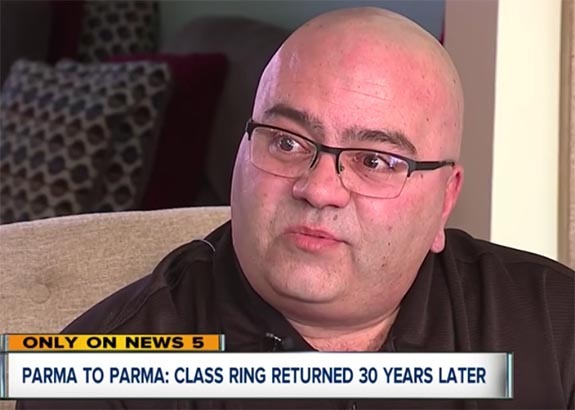 “Holy cow,” Biehl said as he viewed the ring for the first time in 30 years. “I was just flabbergasted that somebody would go through that amount of effort, that amount of work, over a stupid little ring,” he said. But, then he explained why he’s since gained a new appreciation for the jewelry. 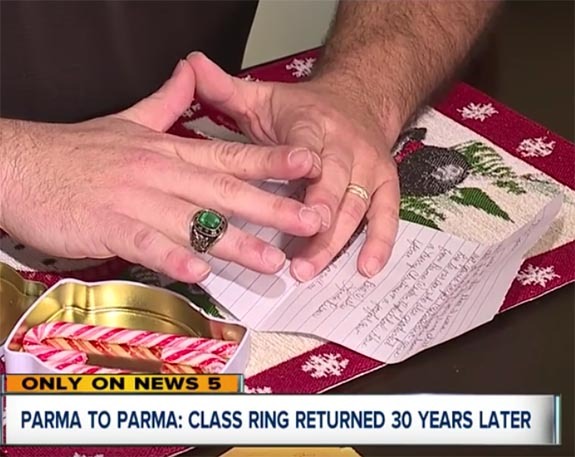 “In her note to me, she said her husband had given his high school ring to their son and kind of passed it on. It got me thinking, ‘It’s not a stupid little piece of jewelry. It’s something I can pass on to my kids when my time is long and done,'” he said. 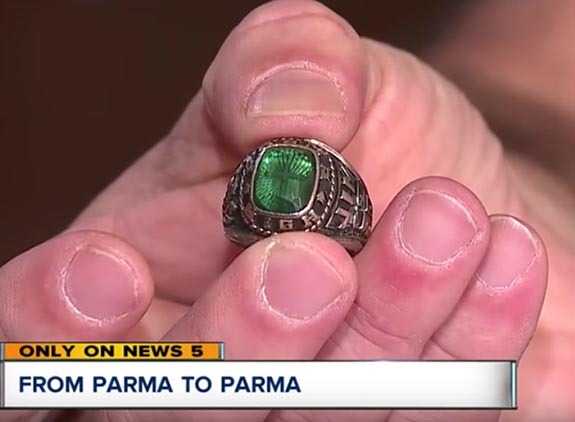 He said that he plans to have his “unexpected Christmas gift” resized so he can wear it from time to time as a reminder of his roots and as a symbol of the good people in the world.